Hockey is one of the most popular sports in Canada. Every year there are countless festivities that revolve around hockey across the country. These occur in the forms of games, practices, tournaments and charity or corporate functions that may revolve around hockey. Since hockey is one of, if not the most popular sport in Canada, former NHL players are considered huge celebrities. At Jackson Events, we have a selection of both former and current hockey players that cannot be matched by other event agencies. Jackson Events hockey services can provide the perfect celebrity hockey players for your event. If you have a younger crowd, our hockey services team can recruit current or recently retired hockey players to be in attendance at your event. If your crowd is older or more knowledgeable, we can bring in the legendary Hall of Famers from the old days. Jackson Events hockey services team is able to cater the selection of players in a way so that your audience or participants can truly experience the feeling of being with a hockey great, regardless of the generation to which your guests belongs. 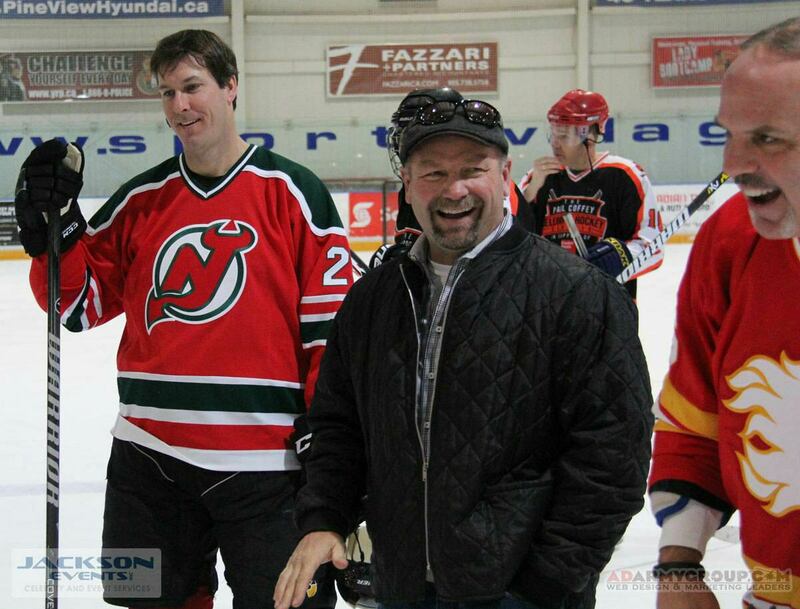 Former Professional Hockey Players at a recent Hockey Tournament hosted by Jackson Events. As alluded to earlier, Jackson Events provide a wide variety of hockey services. Does your child’s team crave to have a famous hockey player show up and run their practice or perhaps give them their pregame pep talk? Our hockey services team can get you that player to run a pro like practice, and motivate the kids before they go on the ice. Not many minor hockey players can say they’ve practiced with or received a pregame speech from someone who once played in the NHL! Our hockey services team is also involved in a wide variety of corporate events. If you are starting a new business such as a store or restaurant, there is no better way to attract guests than having a true hockey legend such as Wendel Clark or Dale Hawerchuk greeting your guests and signing complimentary autographs as they arrive to check out the grand opening of your new business. Because of hockey’s popularity in Canada, famous hockey players are often well received at corporate or charity dinners and functions. Our hockey services team can help you increase the popularity of your function by arranging for multiple hockey legends to attend your event. We have arranged for several big hockey names to attend corporate or charity functions. These include the likes of Mark Messier, Wendel Clark, Kirk Muller, Peter and Frank Mahovlich, Marcel Dionne, Rick Vaive, Doug Gilmour, Darcy Tucker and countless others. Our hockey services team is also able to arrange a full auction filled with pieces of legendary autographed hockey related memorabilia. This includes framed pictures, jerseys, pucks, game worn equipment, tickets stubs of historic games and many other different kinds of hockey memorabilia. If you desire a live auction, Jackson Events hockey services staff can provide a celebrity auctioneer such as Marcel Dionne to add flavour to your auction. There are also several hockey legends who are great for keynote speeches or Master of Ceremonies award. Dennis Hull and Brad Park are popular choices. Jackson Events hockey services team organizes a lot of hockey tournaments each hockey season. When it comes to the planning and execution of your hockey tournaments, Jackson Events hockey services staff are the people you want as we have extensive experience in planning hockey tournaments, we have the connections to get you an outstanding roster of hockey legends and our hockey services team is able to customize your hockey tournament festivities to meet your vision. There are several aspects to planning a hockey tournament and Jackson Events hockey services covers each aspect efficiently. Our hockey services team can help you plan the event by creating hockey schedules, tournament agendas, create marketing materials to help you market your tournament, finding arenas and locations to host your tournament along with its festivities. Jackson Events hockey services team can handle all negotiations and confirmations with arenas, conference centres, catering and any other necessary services your tournament may require on your behalf. In several tournaments, we provide celebrities to make appearances. These appearances can be in a variety of forms. They can play or coach in the tournament, attend functions, or just attend the games and sign autographs and pose for pictures. 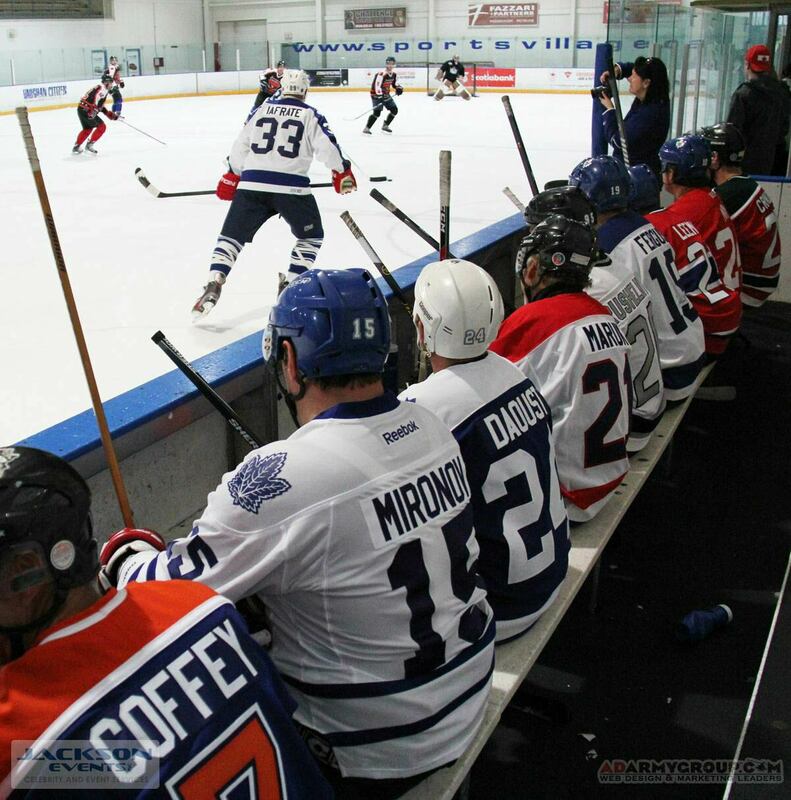 In several of these tournaments, our hockey services team arranges for several NHL alumni, and they play on various teams participating in the tournament. Jackson Events is involved in a variety of different charity hockey tournaments. Our hockey services team is capable at helping you with all the logistics of your tournament. This includes helping you with the registration and marketing of your tournament. Our hockey services team has relationships with several media agencies and other sources that can be used to spread the word about your charity hockey tournament. Jackson Event hockey services team also has a great relationship with various types of providers. As a result of these relationships, we are able to get hockey apparel for your tournament’s needs. In addition to working with providers to get hockey apparel, our hockey services team can work with these providers on getting different and unique gifting items and set up a memorable experience for all teams involved. Jackson Events hockey services staff can assist or perform onsite execution throughout the duration of your tournament. This includes bringing in our own hockey services team that will managing the entire day, from volunteer preparation and management, to setting up and taking down whatever items you may have in display for the duration of your tournament. Jackson Events is also able to provide any items such as signage, auction bid forms, payment forms and any other items you may need to ensure your tournament meets your expectations. There are several formats you can arrange your hockey tournament to be. If you desire it to be a one day event with all related festivities in the same day, our hockey services team can arrange a dinner function after the tournament has concluded, or buffet style lunch for which players can go have lunch between their team’s scheduled games. Perhaps the most popular format when the tournament’s function occurs the night before. These tournament functions often have a “Draft Party” along with dinner and a social gathering. A draft party is when teams draft a celebrity hockey player to play on their team for the duration of the tournament. While the draft order can be determined any way you’d like, the most common way for the draft order to be determined is through monies raised by each team. The team with the most money raised receives the first overall pick, the second place team in terms of fundraising picking second and so forth. If you do not desire to put lower fundraising teams on the spot, you can have the teams on the lower end of the spectrum draw selection orders out of a hat, and base the later picks in the draft this way. If you wish to only have one or two celebrities, there are options to include every team. Our hockey services team can make the schedule up in such a way that the celebrity plays one game with every team. This gives each individual team the unique experience of having a former NHLer on their team. Another option our hockey services team recommends is using the celebrity incentive as a fundraiser. You could have the teams bid for the services of the celebrity. This is a great way to raise a few extra bucks for your cause. Lastly, you could publicize the appearance of the celebrity before the event, and assign the celebrity to the top fundraising team. This option would give the teams motivation to do lots of fundraising leading up to the tournament. Jackson Events hockey services team does several charity hockey tournaments each and every year. These include the Hotel Dieu Shaver Meridian Celebrity Ice Cup and The Mike Keane Celebrity Hockey Classic. Both events were run in a similar format, with a Draft Party the night before and the hockey tournament the next day. As described above, the draft party selection order for both events was based on each teams fundraising efforts, with the top fundraising team picking first overall in the draft. 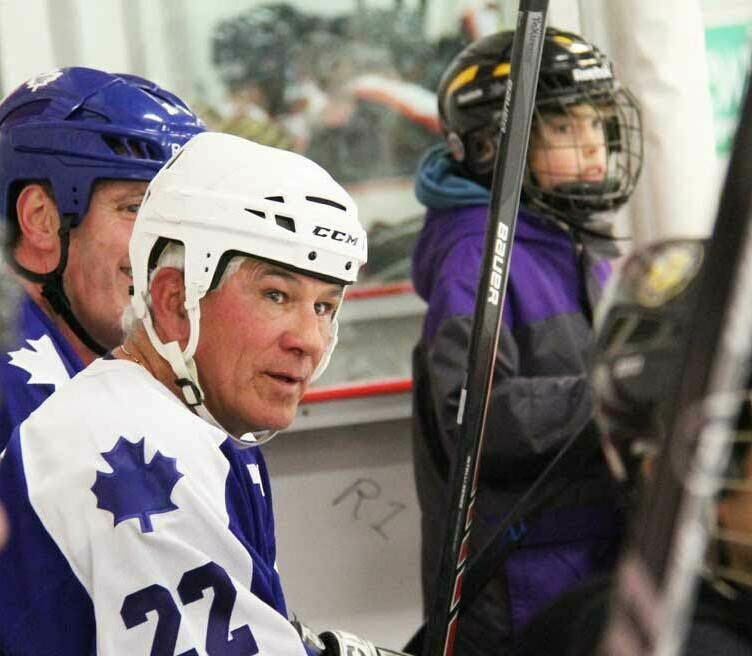 Celebrities that were a part of the most recent Hotel Dieu Shaver Meridian Celebrity Rick Vaive, Doug Gilmour and Al Iafrate amongst others while attendees of The Mike Keane Celebrity Hockey Classic included Ray Bourque, Joe Niewendyk and Gary Roberts among others. There our several activities during tournaments that our hockey services team can set up. These include games such as a shooting castle, autograph sessions for the public, and a tournament all star game. This can come in several formats, but the game often consists of the top individual fundraisers along with the celebrity guests. Besides actual tournament play, these types of events are great for team bonding and a easy way to generate lots of money for charity. Jackson Events hockey services team can guarantee a memorable hockey tournament experience that you and your tournament participants can enjoy. Our hockey services team can bring in your hockey heroes to be involved with the teams throughout the tournament. The onsite support and execution provided by Jackson Events hockey services staff will make your tournament a huge success!